Many of us have them. The invisible “graveyard” where good intentions (AKA – corrective actions from your root cause analysis investigation) went to die. How do they end up there? We all know that all the time and money spent on a root cause analysis investigation and identifying solutions are worthless if the solutions are not implemented. An investigation can usually be done within a week but solutions can take much longer to implement. They sometimes require the involvement of multiple teams or departments, regulatory agencies, engineering, planning, budgeting, and the list goes on and on. For these reasons, it can be challenging to stay on top of all the corrective actions you identified in your investigation, who’s responsible, and the status of an action item at any given time. Be clear about who is responsible for each corrective action. You don’t want to create the opportunity for people to be able to pass the buck with “I thought Bob was going to do it”. Have a mechanism in place by which the implementation of corrective actions can be tracked. Give ownership of a solution to an individual, not a group or department. Assign a due-date for each corrective action. Support people in their efforts to implement corrective actions. Make sure you follow up on each corrective action – check back with the individual responsible to make sure that progress is being made. But even these “basics” are easier said than done. In reality, most likely you come out of your root cause analysis investigation with a list of action items for which various people are responsible. Then everyone goes about their regular workdays and may or may not remember to follow through on any additional tasks they were assigned. Even if you have an appointed person to follow up with the action items and make sure they’re on track, it can be difficult to keep up with who has done what. Many managers rely on an Excel spreadsheet to manually track what has and hasn’t been done, due dates, and so forth. But this puts a lot of pressure on one person to keep up with everything – to manually send reminders to folks who haven’t completed their tasks and to enter the information properly when it has been done. Even when the Excel file has been carefully kept up-to-date, it often lives locally on the manager’s hard drive, and other members of the team don’t have any visibility as to what has and hasn’t been done. 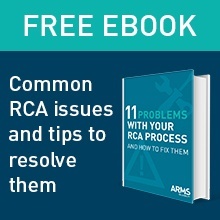 If your RCA program is starting to mature it may be time to consider an enterprise solution to help you better manage all your investigations. Corrective action tracking inside of an enterprise RCA tool can help you maintain visibility and accountability by tracking the status of action items and assigned solutions. Team members get sent automatic reminders of incomplete or overdue action items and they can easily update the status of their assigned tasks, instantly informing everyone when a task has been completed. You can also create personalized dashboards with reports showing open, completed, or overdue corrective actions. In addition to effective action tracking, an enterprise RCA solution can more broadly help your company implement and manage an effective overall root cause analysis program. Expand the RCA knowledge base and accessibility across an organization. Leverage information from previous investigations in your current investigation. Classify and tag files for easy search-ability. Create custom tags incorporating company or industry standards. Build reports on your chosen metrics and visually display key performance indicators in tables, charts and graphics. Specify which reports are most important to you for immediate dashboard display on your homepage. Preserve integrity by securely collecting and storing evidence and important reference files. Store company corporate standards or reference files such as frequently referenced industry documents in a central location for immediate access when facilitating an RCA. Keeping your RCA investigation corrective actions out of the graveyard is a very common challenge in maturing RCA programs, but it’s just one of many. 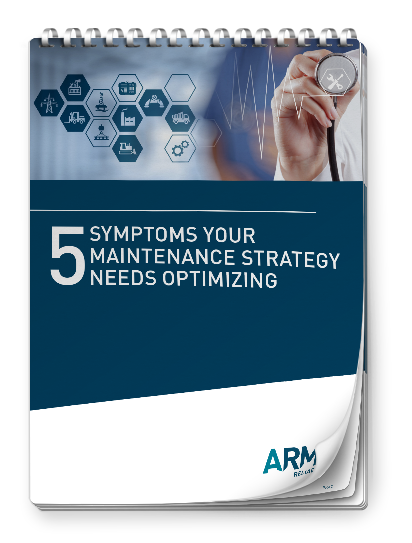 To see what you may be up against in the future, check out our free eBook, 7 Challenges to Implementing Root Cause Analysis Enterprise-Wide and How to Overcome Them. Remember, in order to resurrect your RCA investigation corrective actions, start with the basics that we listed at the beginning of this article. But also keep in mind – the more mature your RCA program becomes, or the larger and more complex your organization, the larger and more complex your problems become. So when you’re ready to alleviate this pain point altogether, consider whether an enterprise RCA solution might be the next step in your program’s development. This question is similar to how long is a piece of string? I have heard one manager in a plant that has stipulated a maximum of two hours for an RCA to be conducted in his organisation. Another expects at least “brainstormed” solutions before the conclusion of day one – within 6 or 7 hours. It is not uncommon for a draft report to be required within 48 hours of the RCA. The following three tips may assist to meet tight deadlines and when time expectations are short. One advantage of the Apollo Root Cause Analysis methodology is that it is a fast process but the “driver” has to be on the ball to achieve the desired outcomes – effective solutions. Imagine the RCA has been triggered by an unplanned incident or event which falls into any of the safety, environment, production, quality, equipment failure or similar categories. You have been appointed as the facilitator by a superior/manager who is responding to the particular event. Your superior/manager may understand the trigger mechanism and may well nominate the problem title. For example, “upper arm laceration”, “ammonia spill”, “production delay” and so forth could be the offering you make to the team as the starting point for the analysis. Typically, as facilitator you will have gathered some of the “facts” from first responder reports, interviews, data sheets, photographs and so on. So a good first step is to draft a problem definition statement, including the significance reflected by the consequences or impacts. The team then has a starting point to commence the analysis, albeit the problem statement may change as more detail is provided. Ideally, you will have already created a file in RealityCharting™ and the Problem Definition table can be projected onto a screen or even onto the clear wall where your charting will be done with the Post-It™ notes. The team members’ information ought to have been entered and can be confirmed quickly in this display. You might even show the Incident Report format and focus on the disclaimer option you have selected deliberately: Purpose: To prevent recurrence, not place blame. This preparatory work could save at least 20 minutes of the team members’ time and enable an immediate launch into the analysis phase. Important: Save yourself hours of re-work and potential embarrassment by saving the file as soon as this first process is complete, if you haven’t already done so, and thereafter on a regular basis. Maintain some form of version control so that the evolution of the chart in the following day/s can be tracked if necessary. If you are particularly well-resourced the chart development might be recorded on the software simultaneously as the hard copy is created on the wall space. A small team might choose to create the chart directly via the software and a decent projection medium. It is critical that your initiative in preparing the problem definition is not considered by the team members as disenfranchising them. The analysis step whereby all have an opportunity to contribute should ensure that they feel they have “ownership” of the problem. To reinforce this, it is advisable to choose a sequence of addressing each member, typically from left to right or vice-versa depending on the seating arrangements. This establishes the requirement that one person is speaking at a time, secondly, that each and every statement will be documented and thirdly, that every person has equal opportunity. Your prompt and verbatim recording of each piece of information will provide the discipline required to minimise idle chatter which can waste time because it distracts focus. When you have a series of “pass” comments from team members because the process has exhausted their immediate knowledge of events, launch the chart creation. circumstances, they have some value. The precise value will be determined by where the information sits in the cause and effect logic that starts at the problem and is connected by “caused by” relationships. Important: Cause text should be written in CAPITAL LETTERS. It will be easier to read/decipher for the team at the time and perhaps from photographs of the chart later. Similarly using caps in the software itself means that projection of the chart is more effective and the printing of various views is enhanced. Many proponents tap the existing understanding of the event by capturing as many of the action causes as possible. These may arrive via a 5 WHYS process, for example, which starts at the Primary Effect. The Apollo RCA method requires use of the expression “caused by?” to connect cause and effect relationships. Understanding that there must be at least one action and one condition helps reveal the “hidden” causes and especially the condition causes which do not come to mind initially. supposedly “dumb” questions. Invariably these questions generate more causes or a more precise arrangement of the existing causes. A “How does that happen exactly?” question can drive the team to take the requisite “baby steps”. This also often exposes differences between “experts” and the resolution of these differences is always illuminating. The facilitator needs to be aware of the need to softly “challenge” the team’s understanding while ensuring the application of sufficient rigour to generate the best representation of causal relationships. This can be done in a neutral manner by using the “IF” proposition. (substantiated by evidence) then the team is well-placed to consider the types of controls it could implement to prevent recurrence of the problem. The more causes which are revealed the more opportunities the team has to identify possible solutions. Step 1 Facilitator gathers event information and fills out Problem Definition Statement. Step 2 Facilitator directs the Information gathering casting a wide net and systematically requests information from participants. Step 3 Use information gathered to build a RealityChart™ with actions based on what happened then looking for other causes such as conditions which may initially be hidden. Use how and If to help validate that causal relationships are logical. With a completed chart the solution finding step can begin.